Just days before the Force of Nature exhibition closes, the Art Pavilion in Mile End Park will host a special late night opening as part of the Whitechapel Gallery’s First Thursdays initiative. This is a great opportunity to see an invigorating show which showcases a diverse range of works by international contemporary artists, inspired by nature. It has been curated by James Putnam - Research Fellow at London College of Fashion, University of the Arts London, writer, founder and former curator of the British Museum's contemporary arts and cultures' programme. From the beginning of human history, and in every culture, nature has played a vital role in creative expression. 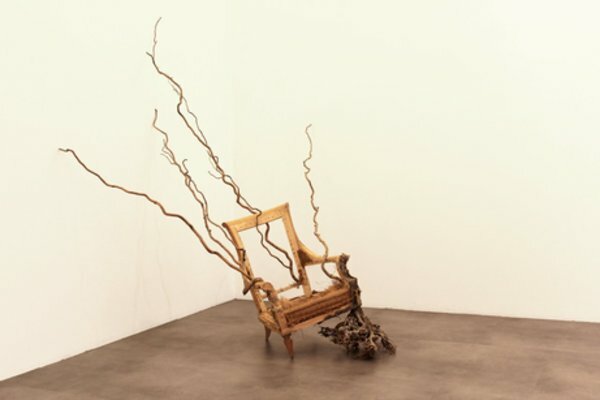 Force of Nature includes work by 28 established and emerging international contemporary artists, surveying the influence of nature and its processes on their work. It is site-specific, monumental or ephemeral. Movement, light, birth, growth, ageing, decay and rebirth are among the energies or ‘forces’ that artists strive to capture. This body of work is evocative, provocative or sublime, with some conveying an urgent environmental message and both the human impact on and the human condition within nature. It is open until Sunday 9th April and has elicited some very positive feedback so far. PARTICIPATING ARTISTS: Maddalena Ambrosio, Alice Anderson, Ruben Brulat, Felix de Bousies, Adeline de Monseignat, Susan Derges, Nancy Fouts, Andy Goldsworthy, James P Graham, Richard WM Hudson, Kang Hee Joon, Mark Karasick, Iyvone Khoo, Ayça Koseogullari, Antti Laitinen, Janet Laurence, Richard Long, Alastair Mackie, Kate MccGwire, David Nash, Lucy & Jorge Orta, Giuseppe Penone, Peter Randall-Page, Cameron Robins, Tim Shaw, Yuken Teruya, Koen Vanmechelen, Douglas White.